Show Racism the Red Card - Who was Claudia Jones? SRtRC Chief Executive, Ged Grebby recently attended Unite the Union’s Black History Month event, organised by Unite Black Members. 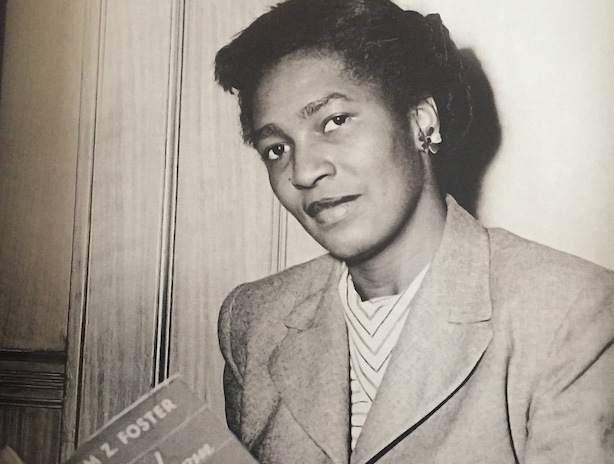 At the event on October 5th, a special screening of ‘Hidden Herstories: Claudia Jones’ was included in the programme. The film was part of a project started in 2009, by the Octavia Foundation, Institute of Race Relations, HistoryTalk and Black Cultural Archives which led to a group of 20 young people producing, researching, directing and editing a one-hour long documentary exploring the lives of four inspirational and remarkable women. ‘Hidden Herstories: Women of Change’ featured the work and lives of Octavia Hill, Amy Ashwood Garvey, Jayaben Desai and Claudia Jones. Claudia Jones was a journalist, political activist, campaigner for equality and the founder of The West Indian Gazette and the Notting Hill Carnival, in response to riots in Nottingham and Notting Hill, London. Hidden Herstories: Claudia Jones from Octavia Foundation on Vimeo. Ged said “I attended a Unite the Union Black History Month celebration earlier this month and watched this excellent film about the life of Claudia Jones. It says a lot about the hidden history of Black people in Britain that I had never heard of Claudia before.